At first blush, Wolfe writes science fiction and fantasy. His work features alien planets (The Fifth Head of Cerberus), time travel (The Book of the New Sun), spaceships (The Book of the Long Sun), ghosts (Peace), alternate realities (There Are Doors), monsters and gods and demons (too many titles to list) – most every science fictional trope one could possibly name. Wolfe himself clearly self-identifies with the SF genre, and he is entirely unashamed of that association. Almost all of his stories purposefully rely on traditional science fictional tropes, recognizable to readers of the golden age sf that preceded Wolfe’s own work. Wolfe got his start publishing in the late ’60s and early ’70s, a tumultuous time in the sf genre. His contemporaries were writers like Harlan Ellison, Samuel Delany, Ursula K. Le Guin, Michael Moorcock, J.G. Ballard, Joanna Russ – a generation of writers who were actively challenging the genre’s hard SF pulp roots, dragging it (kicking and screaming) towards literary complexity, depth of character, and breadth of style. Along certain dimensions – authorial intention, philosophy of art, and narrative structure – Wolfe’s sensibilities align firmly with the New Wave (with notable stories in Ellison’s Again, Dangerous Visions and Moorcock’s New Worlds, both flagship publications of the New Wave movement). However, along other equally important dimensions – prose aesthetics, thematic motif, use of symbolism, and onomastics – he rejects much of the New Wave’s post-modern tendencies and instead applies the techniques of the literary modernists eschewed by most sf writers in general and the New Wave movement in particular. It is difficult to read works like Wolfe’s The Book of the New Sun and not think of James Joyce’s Ulysses or T.S. Elliot’s The Waste Land. Wolfe’s most significant (and arguably best-known) work, The Book of the New Sun is written in prose so dense with literary, historical, and religious allusion that its analysis has generated multiple significant books of criticism (a special mention should be made of Michael Andre-Driussi’s Lexicon Urthus – an impressive work of systematic scholarship). These words themselves, and their etymology and the contexts in which they are used are themselves key to deciphering the symbolism at play throughout the text. 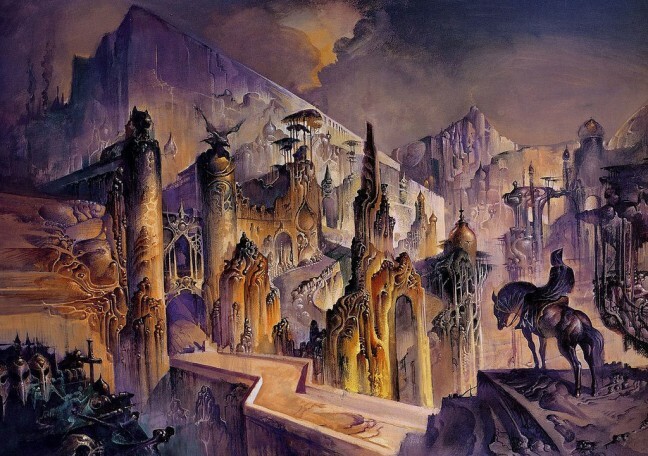 Ostensibly, The Book of the New Sun is a far-future dying earth novel in the mold of Jack Vance’s classic Dying Earth (an acknowledged and obvious influence on New Sun‘s aesthetics, structure, and world-building). We meet our narrator, the young Severian who is a member of a guild of torturers (whose job, naturally, it is to torture and execute criminals). We follow Severian’s transgression against his order, his punishment, and his journeys across his decaying and corrupt world which ultimately lead to his becoming Earth’s (at this point in our distant future called “Urth”) ruler, savior, and (eventually in The Urth of the New Sun which follows) destroyer, and re-creator. Superficially, the setting is a classic dying earth environment, with the decadence, moral and political corruption, blurring of technology and magic, and mythologizing of the reader’s far-removed time period that Vance pioneered. However, the techniques through which Wolfe paints this fictional world are very different: For one, Wolfe eschews the use of neologism. The words that he uses – however strange they may seem – are real English, Greek, or Latinate words, however obscure. These words themselves, and their etymology and the contexts in which they are used are themselves key to deciphering the symbolism at play throughout the text. This use of language is entirely Joycean in its approach, and its effect is to make the prose work on at least three different levels: There is a superficial meaning which can be taken at face value, interpreted simply as it is read to provide a clear chronicle of the narrative’s events. Below that, there is a deeper meaning which ties to one or another of the story’s central mysteries, and below still that there is an allusive layer to Wolfe’s word and name choices where referenced legends, myths, or texts provide further clues to the word or name’s significance as symbol within the novel’s underlying themes. It is this density of language and its multiplicity of meanings which encourage close readings of Wolfe’s texts, and which encourage multiple re-readings of his work. Though such multi-layered and allusive word choice is a common technique used by the modernists to powerful effect (making the likes of Joyce, Elliot, Yeats, Borges, and Faulkner the delight of modern lit professors), it is one rarely seen in speculative fiction. 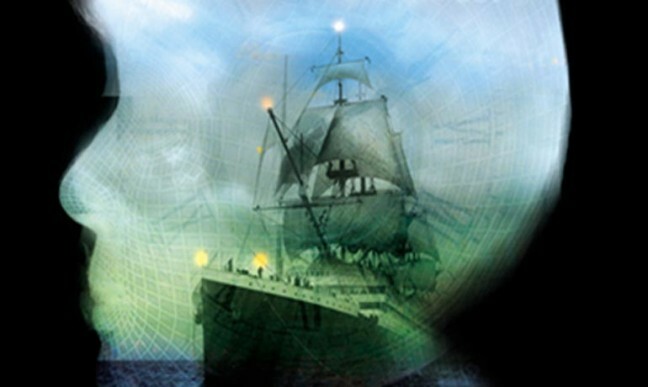 Though other authors – notably Tim Powers, Michael Swanwick, and Guy Gavriel Kay – have written multi-layered texts where each character or plot point corresponds structurally to other cultural touchstones, Wolfe is unique for the sheer density of such extra-textual allusion. It is this density of language and its multiplicity of meanings which encourage close readings of Wolfe’s texts, and which encourage multiple re-readings of his work. Each time you come to a Gene Wolfe novel, you will discover new depths of hidden significance to (often) seemingly inconsequential details. Such layering of the narrative is not a technique unique to The Book of the New Sun. In fact, it is one of Wolfe’s consistent literary tricks which he applies across most of his work. In his third published novel, Peace, he does this even more subtly. Such layering of the narrative […] is one of Wolfe’s consistent literary tricks which he applies across most of his work […] a puzzle which must be identified and then solved by the reader’s own effort from clues in the text. That novel is – seemingly – a series of disjointed reminiscences told by an elderly man. However, what Wolfe never states explicitly – a puzzle which must be identified and then solved by the reader’s own effort from clues in the text – is that the narrator is dead (the story is told by his ghost), that the setting from which he is reminiscing is Purgatory in the form of a memory palace, and that he is in all probability a multiple murderer. On a first reading, it is easy to miss almost all of the clues that lead the reader to such conclusions. In this, the novel brings to a mind a slightly less-aggressive (or at least less angsty) version of Dostoyevsky’s Notes from Underground. However, on re-reading Peace, the significance of individual words (such as a the first sentence “The elm tree planted by Eleanor Bold, the judge’s daughter, fell last night.”) suddenly becomes clear (when a connection is made to a different, single, and seemingly unrelated line of dialog in the novel’s latter third). This technique fundamentally relies on the narrator’s unreliability, which philosophically Wolfe links to the fallibility of the human condition (or at least human cognition). The use of unreliable narrators is as consistent as Wolfe’s literary allusions throughout his oeuvre: Whether it is Alden Dennis Weer in Peace, Severian in The Book of the New Sun and The Urth of the New Sun, Patera Silk in The Book of the Long Sun, Horn in the The Book of the Short Sun, Mr. Green in There Are Doors, or perhaps most interestingly Latro in Soldier of the Mist and its sequels, the vast majority of Wolfe’s narrators and perspective characters are explicitly shown to be unreliable. Consider Latro – the character (and as a perspective character, especially) who I consider to be Wolfe’s most fascinating construct. Ostensibly, he is an early Roman mercenary wounded in the Battle of Plataea (where he fought for Xerxes). Having received a nasty headwound, Latro begins to suffer from both retrograde and anterograde amnesia: every time he goes to sleep, he loses his memory of the last twenty four hours. To keep him functional, he is given scrolls to use as a diary (basically a “Read This First” type of document) to keep him grounded as he lives his life. Latro is unreliable on many levels, not least because of the explicitly present holes in his memory. But at the same time, he is an otherwise uneducated mercenary with limited ability to write (per the “translator” of the found scrolls), with the largely unscientific worldview of his time, and who would have been writing his recollections in haste in often difficult circumstances (being a soldier in the field and all). This poses a central unresolved (and largely unresolvable) mystery for the reader: What is the reality of Latro’s story? When Latro interacts with the gods, monsters, and demons of ancient Greece, are these hallucinations brought on by his all-too-real injuries? Are they factual experiences, interpreted through a haze of mysticism brought on by the narrator’s limited vocabulary and understanding? Or should they instead be interpreted exactly as they are presented, as real magic in the world? The centrality of such puzzles – to which Wolfe often gives equally plausible “solutions” – is a hallmark of his novels, and appears in almost all of them. And when we consider Wolfe’s work as a whole, the puzzles only deepen: the Latro sequence, for example, can be read as a inversion of the Book of the New Sun. At the most basic level, Severian has a stated inability to forget anything, though he can choose to lie and is inconsistent in his narrative. While Latro, by contrast, has an inability to remember anything, yet his narrative is consistent throughout. Which story, then, is the more stable? Which narrator the more trustworthy? And how does that reliability (or equal unreliability) affect our exploration of each texts’ other mysteries? Despite (or because of) the intellectual complexity of Gene Wolfe’s work, I find it quite enjoyable. However, his texts remain problematic in one fundamental way: It is hard to provide any kind of comprehensive look at Wolfe’s work without discussing the treatment of women in his fiction. And here, I find myself cringing. Wolfe has a tendency to portray women in positions of either subjugation (particularly in The Book of the New Sun), villainy (There Are Doors, Peace), or otherwise to consign them to a status subservient to his male characters. Considering the fictional environments of Wolfe’s stories, and the (often dark) motifs his stories explore, it is tempting to excuse his fictional portrayal of women as being in service to the themes of his fiction. It’s a very tempting excuse, especially when we consider Wolfe’s control of craft and attention to detail. Surely, one might think, a writer so technically proficient as Wolfe would be aware of problematic material and only apply it purposefully in support of his art. Surely, one might think, a writer so technically proficient as Wolfe would be aware of problematic material and only apply it purposefully in support of his art. Unfortunately, when we consider the way Wolfe discusses women in his numerous essays, interviews, and public speeches, we can find that his problematic (by modern standards) views extend beyond his fiction. Such attitudes lead me to believe that excuses for the treatment of women in Wolfe’s fiction are merely an exculpatory fig leaf. If Wolfe’s attitudes towards women are problematic, however, I believe they stem from a combination of the standards of his youth (Wolfe was born in 1931), his background, and his perception of the relationship between gender and human nature (where Wolfe seems to perceive a fundamental link between the two). This is not an excuse – I (strongly) disagree with such views, and I am uncomfortable when they are articulated by a writer whose work I so admire. But like all readers, I suppose I contain multitudes. 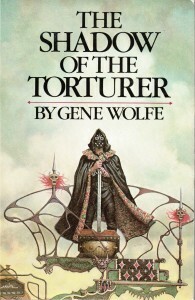 And if Gene Wolfe can write such significant works with so many layers to them, then as a reader I can respect his artistry while disagreeing with his attitudes. 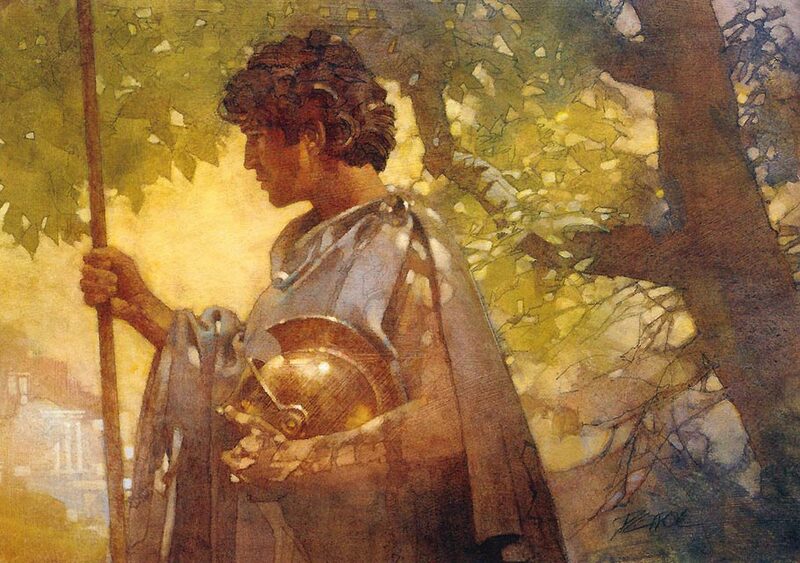 Gene Wolfe’s best-known work is undoubtedly The Book of the New Sun, with other titles like Peace probably a close second (especially following the effusive praise offered it by authors such as Neil Gaiman). In general, I find that sooner or later at every con I go to, or every time I’m in a bar with some writers of science fiction or fantasy, Gene Wolfe’s name (or the name of a character, or the title of a book) comes up. Gene Wolfe is – first and foremost – a writer’s writer. Any writer of fiction who reads his work with an eye for detail can spot his techniques. And yet very few can emulate them. Some have come close – for example, Jeffrey Ford’s Well-built City trilogy shares many structural similarities to Wolfe’s Book of the New Sun (while nevertheless being entirely its own fascinating and beautiful work), yet I am hard-pressed to think of any examples who equal him. His style, his structure, and his aesthetics are uniquely suited to critical analysis and the close reading beloved of so many genre fans and critics. Secondly, I believe he is a critic’s writer – particularly given his penchant for literary allusion and modernist techniques. His style, his structure, and his aesthetics are uniquely suited to critical analysis and the close reading beloved of so many genre fans and critics. However, even though Wolfe applies modernist techniques with aplomb, his work has gone largely unnoticed outside of genre criticism. Genre critics such as John Clute have written extensively and eloquently about Wolfe’s work, but outside of genre criticism the academy has been relatively quiescent. Clute himself mentions this fact in his entry on Wolfe in the Encyclopedia of Science Fiction, where he posits that this is due to Wolfe’s fundamental reliance on science fictional plot devices and tropes. Perhaps, one might think, Wolfe is too rooted in science fiction for the wider literary environment to recognize his significance. If so, that is a shame. Because Wolfe brings two notable innovations to the modernist toolkit: Plot (those very same science fictional tropes that the academy neither understands nor respects), and optimism. In this, Wolfe maintains a stance of being neither one nor the other. While Wolfe’s prose techniques are modernist in nature (and so reject the largely post-modern tendency of his New Wave contemporaries), the thematic thrust of Wolfe’s novels stands in sharp contrast to typical modernist fare. 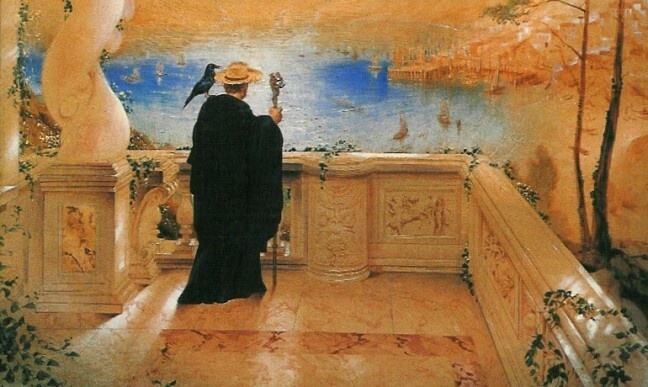 This is because unlike most of the modernists (who tended towards a sense of bleak desolation and alienation following their experiences of the First World War), Wolfe’s often-bleak and often-desolate worlds are leavened through his Catholic faith, whose symbols when introduced into the text bring recurring themes of redemption, forgiveness, and rebirth. In all of this, one can rely on Gene Wolfe in one fundamental fashion: He is reliably an unreliable author. He toys with his readers, plays coyly with us. He makes us work at understanding his fiction, makes us study his texts and come back to them time and again. And each time we do, we find a different book, with a different interpretation, different meaning, and different significance. Wolfe’s works are an intellectual challenge. They are (at least for me) more fun than similarly challenging work by writers like Joyce, Faulkner, or Elliott. But there is no question that Wolfe’s books take effort to read, and effort to enjoy. But the depth of enjoyment I have gotten from them has been well equal to the effort. 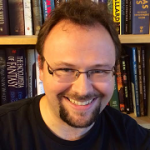 Chris Gerwel is a writer and critic of science fiction and fantasy. Chris lives in New Jersey with his wife and dog, where he writes the King of Elfland's 2nd Cousin genre blog. I do think Wolfe’s seemingly endless depths is what writers, and the literary minded of his fans, keep getting drawn to his work, again and again. There are problems (female characters, as you note, are problematic in his fiction). I still think he’s a candidate for a Nobel Prize for Literature–if the Nobel committee would but look at his work. Thanks, Paul! We should start a “Gene Wolfe for the Nobel” write-in campaign. ;) In all seriousness, though, I think you are correct. His fiction has a level of sophistication and complexity that appeals to the most prestigious litfic award committees (Man Booker, Nobel, etc.). But of course, because of Wolfe’s unashamedly residence in our genre ghetto, I think it’d be a hard sell to get one of those committees to take his work seriously. 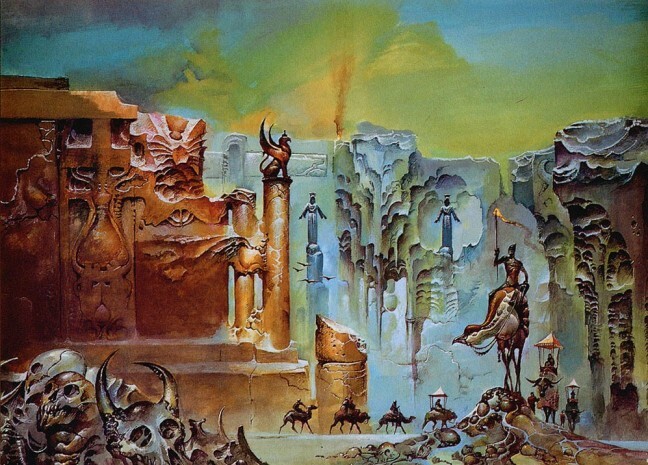 The Fifth Head of Cerberus and The Left Hand of Darkness were two key works that got me re-engaged with SF&F, and, for better or worse, increased my interest in trying my hand at writing it. I later got over my literary snobbery, but Wolfe and Le Guin were very important in helping me bridge that gap. Very nice summation of thought on Wolfe. You are correct; he is a writer’s writer. I think that the reason that we can see his technique but almost never successfully emulate it is that he was/is a deep thinker first, able to translate his complex views into fiction; most writers, myself included, don’t build on such a deep foundation and often don’t have the courage to build in real complexity. I still believe that part of the allure of Wolfe, beyond his style, stems from his philosophical straddling of so many different concepts: applied science, classic literature, pulp, Catholicism and its history of extinct “heresies” that form a strange metaphysical view of reality, violence and war … I feel like because of his supposedly conservative views (which, let’s be honest, sets him apart from many others considered “high brow” in their artistic pursuits) his treatment of women is almost bandied about like a straw man to undercut his importance. Henry Miller, after all, has female fans. Miller’s bohemian philosophy is almost completely degrading to women – they are objects to be used against a wall, for the most part, and of so little weight that a shiny quarter on the floor is of approximately equal interest – but Miller is so counter to establishment that his grotesque conceptualization of individual humans is pretty much ignored. Wolfe has no such defense – one feels that his sin is simply to cherish a few traditional ideologies not quite in tune with the zeitgeist. Dorcas, Aubrey Veil, even Io as a victimized little girl who shows devotion and bravery, while not extremely prevalent in his fiction, are not as one dimensional and stereotyped as they at first seem. 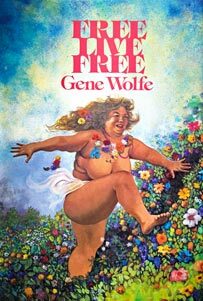 There seems to be a special, almost schizophrenic soft spot in the narrative voice for obese prostitutes in works such as Free Live Free and Long Sun, and it is perhaps the ubiquity of prostitution in his major works that also brings these criticisms to the fore. I still think the discrediting of Wolfe concerning his treatment of women is a redirection from the reaction to his somewhat traditionalist mindset. The treatment of young boys in his fiction can be almost equally horrific at times – “And When They Appear” has a truly terrifying denouement, and even his male protagonists are raped at times by other men (Pirate Freedom). In any case, I have always believed him to be an artist without equal, in any time period, though unfortunately the care and attention his books require seem to unjustly relegate him to a very niche audience – I hope that his name will resonate with Shakespeare and Joyce in the generations to come in the literary community. I think the “problem” you’ve noted of his female characters (to the extent it is a problem) is probably more due to his protagonists being male. Have you read “An Evil Guest”? Actually, I take that back. Have you read “Home Fires”? Excellent article on all accounts. I think you have hit on some especially relevant points besides the obvious ones regarding problematic female characters, unreliable narrators. Your point at the end that Wolfe is, in essence a Modernist writer, is very compelling. I had never thought about him in that company because, as you point out, his writing is so esoteric and hermeneutic: things eschewed or trivialized by most Modernists. 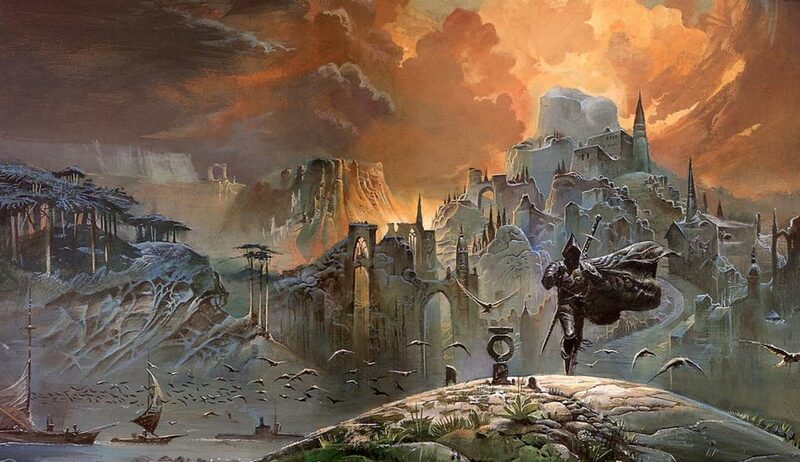 I just want to make one pitch here for Gene Wolfe: any fan MUST read his short stories. In “Stories from the Old Hotel” you can really see just how experimental a writer he is. Thanks very much for the incisive article! Thanks so much for this, an excellent overview. I tend to agree with Marc Aramini on the issue of Wolfe’s “problematic” treatment and portrayal of female characters. I believe this is an over-simplification of Wolfe’s work. Otherwise, excellent piece. At one point you call BotNS “arguably” his best-known work, and then later “undoubtedly” his best-known work.